How to Plant and Grow the Paw Paw Tree (Trees for Home and Garden Landscaping Book 4) - Kindle edition by William A. Jack. Crafts, Hobbies & Home Kindle eBooks @ Amazon.com. Plant Paw Paw trees. One of the increasingly popular trees to add into the landscape design is the Paw Paw. Not since Pogo, has there hardly been a mention of this bizarre fruit, but now there is a strong interest in large scale Paw Paw orchards. The fruit has a sweet banana custard-like taste. In the landscape design, Paw Paw makes a nice medium-sized tree for the shaded areas. 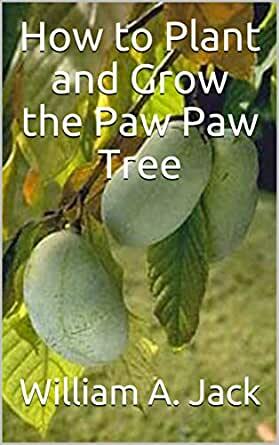 This book discusses the Paw Paw, planting, fertilizing, and more. Thank you for your comments about the book. Yes, it was meant to be a simple read, but about the Paw Paw. Over the years, we have had many people ask about how to actually plant Paw Paws, and we thought it was time to give the general how-to ideas about that. 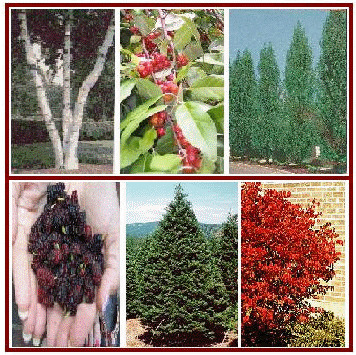 There is some good information about this unique tree species, with the intent to make tree planting simple and easy to understand. We hope that you found the book informative and helpful. There is a lot of informative, and it was made to be an easy-to-read, but useful for a wide range of readers and tree planting folks. Reads like a garden guide with paw paw pasted in. What a waste of time. The author, editor, publisher and sadly the reader all wasted time on this publication. Well maybe not the author because this was nothing more than a cut and paste how to plant. HELPERS GUIDE: How To Grow Tomatoes Quick & Easy! : Planting, Fertilizing, Harvesting, Everything! Operation Zombie Apocalypse Prep: Gearing Up!